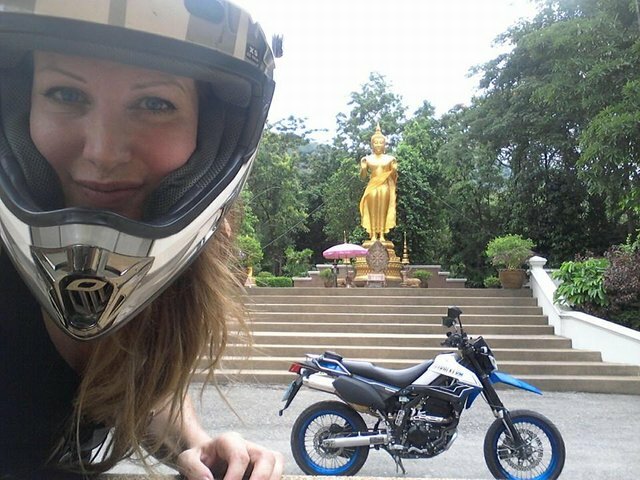 Introduce Yourself - Zed CM / Motogirlthailand :) Hi! Hi all! 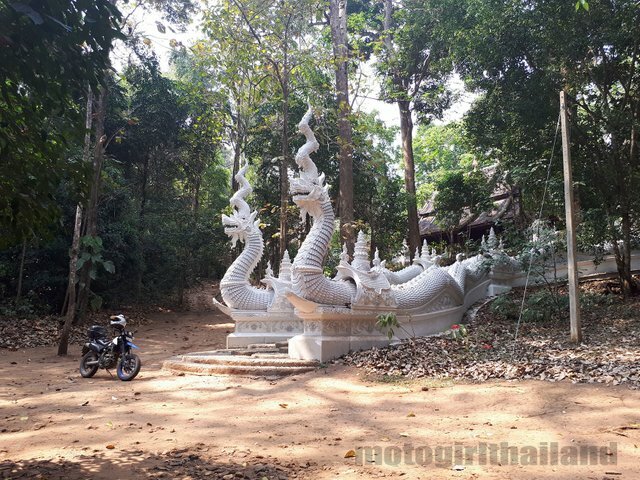 I have been living in Thailand for 12 years, and hope to show the world some of the beauty and hidden gems in Thailand (and S.E.Asia) via my (mainly solo) travels on my Kawasaki Dtracker 250cc. Past, present and current travels. I'm a private individual, which is ironic given that I have publicly posted myself on the internet in recent years. I somewhat relate it to tasting something absolutely mind blowing and wanting others to enjoy it. So, my putting myself "out there" is less about me, and more about wanting to say "look at this beautiful thing! Please drink it in!". 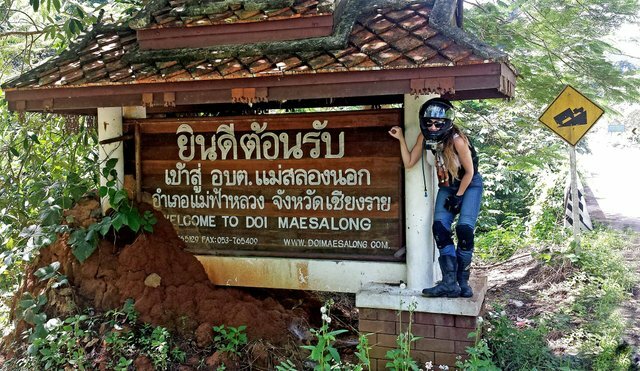 A few years back I had people telling me that my adventures and finds were worth sharing, so well, that gave birth to the concept of motogirlthailand.com (aka Motogirl 'IN' Thailand). 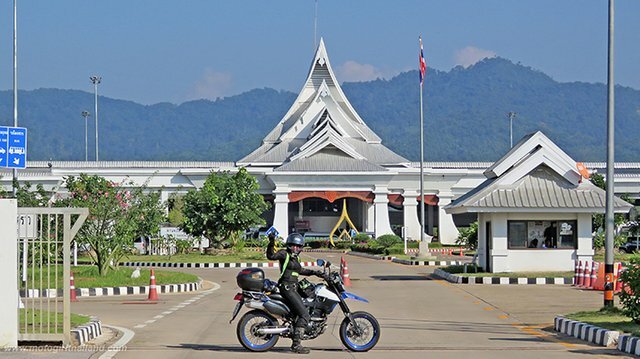 In recent years I have been lucky to take my bike into Laos and I have taken it to many remote, rural and interesting places. 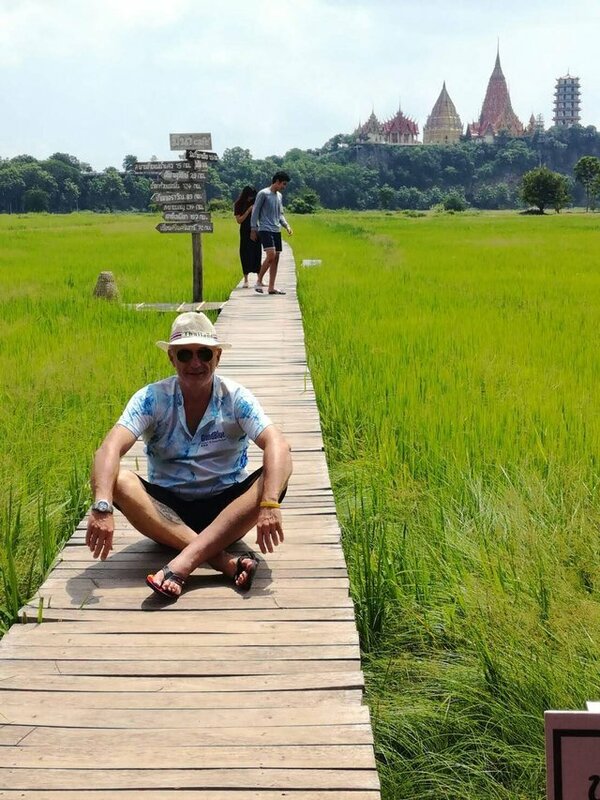 Including some of the most stunning mountain views and the most amazing Thai landmarks and temples. 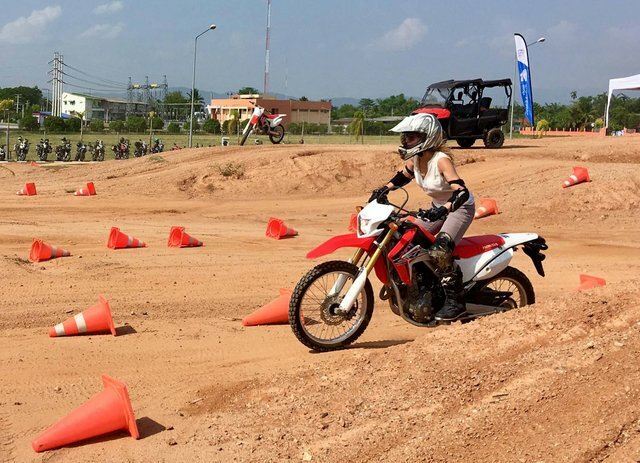 I have also connected with some amazing people and participated in some fantastic motorbike related events. Such as the Distinguished Gentleman's Ride, which raises awareness and money for prostate cancer and mens mental health. (Sadly my ex in the UK passed away at only 38 years old from prostate cancer, so it is so very important to spread awareness!). As well as some cool biker events too. 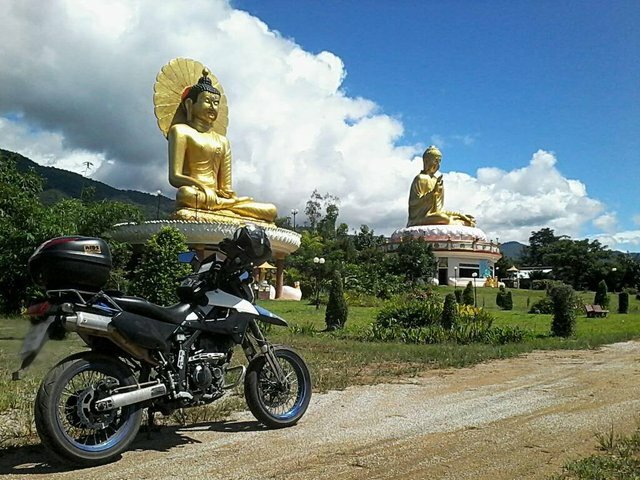 Riding a motorbike and visiting these fantastic places has been my life blood! It has saved me from difficult times and low times. Let's see..(trying to be concise). Well, just over 12 years ago I arrived in Thailand with a small suitcase after selling up everything I had in the UK. I had never visited S.E.Asia before, but had lived in other countries. Wasn't sure what to expect, but wasn't too worried as I've overcome difficulties and challenges in life before, so I was ok with a bit of flux. In fact, I often do better with a little chaos than I do with too much calm! This accident had me realizing I had outgrown my bike and needed to upgrade not only my bike, but my skills. 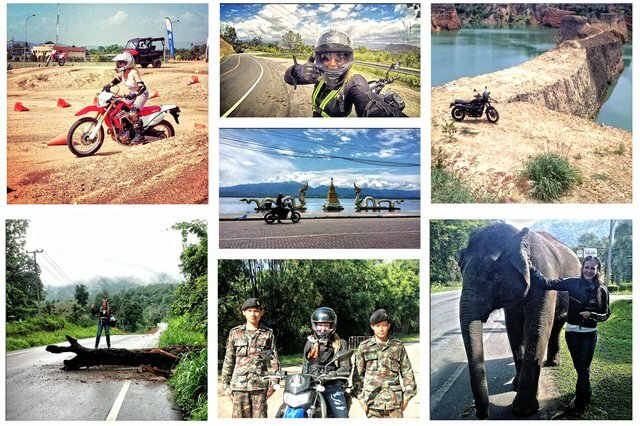 Finally, almost four years ago I bought my Kawasaki Dtracker 250cc and it has given me some of the best adventures of my life. So, hopefully my story seems interesting and hopefully you are intrigued enough to follow along. I am still learning about steemit, so baby steps for me. I have some social media channels which have been up and running for a couple of years now, but I do plan on posting up some unique material on here as well as sharing across platforms. Hopefully that's not bad etiquette. o.O Sorry, I am still trying to get the hang of Steemit, so hopefully I am not doing something wrong by sharing! Hope that was a good enough intro post to give you an idea of what I am about and what I hope to achieve. Your post was featured in an entry into @pifc's Curation Contest:Week 47. Posts are selected because the entrant felt you are producing great content and deserve more attention (& rewards) on your post. As such your post has been upvoted and will be visited by other members of the PIFC Community. 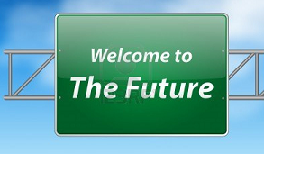 Posts that have been selected by the entrant will be visited by other members of the PIFC Community and given support. You are welcome to submit other author’s post in future contests. The PIFC community has a support Discord Channel that you are invited to join. For more information about the PIFC family along with a great way to meet new people. We are a group of like minded people that focuses on assisting one another. Thank you for sharing your amazing adventure. Welcome to Steemit @zedcm. Looks like you made a great choice for yourself. I really enjoyed your article and pictures. I love the idea of showing off where you live, it lets those of us that may not get to visit the pleasure of seeing other parts of the world. You were featured in week 46 of @pifc's Pay It Forward Curation Contest by @zorank. @pifc is a Pay It Forward Community which believes in by helping others grow we build a stronger community. We run this contest each week, it is open to everyone. It's a great way to show off people you find that might need some more exposure or meet new people. What a great introduction, @zedcm. Thanks for sharing your adventures and also these magnific photos and videos. 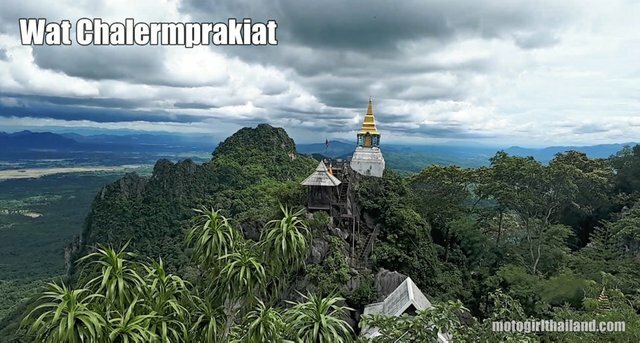 How long did it take for you to learn Thai? Did you had any lessons? Congratulations on being featured by @zorank on the Pay It Forward Contest. I'm not exactly sure how long it took me to learn Thai. It just sort of evolved. I had a few formal lessons in the beginning and then occasional study plus random classes here and there. Mostly self-taught and listening..and necessary interactions, such as being in areas where English isn't spoken. That always forces you to learn and pushed my introverted nature to speak, rather than just observe. I haven't progressed much in many years as i am a hermit by nature and tend not to speak much to any one, even in English. I suppose I was speaking reasonable Thai by about 2 years of living in Thailand...after that it's just been slowly added to. Wow. That's fast. I guess necessity speeds up learning. Can you read and write, too? I can read slowly and badly, but cannot write. The way Thai is written is not straight forward. Cluster words, tones, etc. So I gave up on writing. I should probably take some formal lessons at some point to get that sorted out. Hey @zedcm, thanks for giving Steemit a try and for pushing through the initial hurdles, LOL! I hope you'll find it's worth it after your first week or so. You're gonna get lots of answers from bots to your introduction post, just to prepare you, but some of them are actually quite helpful. Check out the Partiko app - it's a prettier way to interact with Steem on your phone and it will also notify you when other people mention you in their posts. Thanks so much! I hope the comments I made in the Facebook group were considered constructive haha! Finger's crossed I can make a go of this. I do want to try make something out of my passion, rather than it just being more of a glorified hobby. Hopefully I can gain more supporters and possibly a bit of income on the side for my efforts too. Heck we all have to pay bills, right! Appreciate the feedback and links and very nice of you to want to introduce the platform to others like me. Welcome on steemit. You got a resteem from me. Wish you much fun and success! Thanks Zanoni! Appreciate the warm welcome on a platform I am still trying to understand! My best! Welcome to Steem zedcm! Partiko is officially the fastest and most popular mobile app for Steem. Unlike other Steem apps, we take 0% cut of your earnings! You can also be rewarded with Partiko Points while using Partiko and exchange Partiko Points for upvotes! Will work out the best way to do this, but in the meantime I have updated my website (about me) page with the Steemit link. This should verify that I am who I say I am haha. I like your life, it's great to be able to go to many places. Currently We’re supporting for the Planktons by our small upvote. You may like it, check my support here. To get more 15SP delegate and receive additional rewards from your activities on Steemit, you can use Partiko app for your phone. Thank you for your support and witness vote @zedcm, really appreciated! Welxlcome. :) Hope I can understand better later on what it all means haha ! Very adventurous to say the least. Welcome to The Steem blockchain! Welcome to the steem family- enjoy the ride! Hi! I am sending you best regards from Prague- Czech republic! ;) It is great to see new face with interesting content on steemit so enjoy and if you will need any help, just let me know! Why Thank you kitty. You are indeed quite special it seems! Oops..sorry. You are indeed very special! 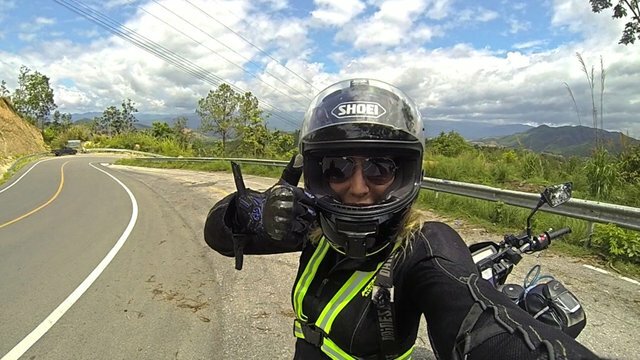 Awesome motorbiking story, @zedcm. 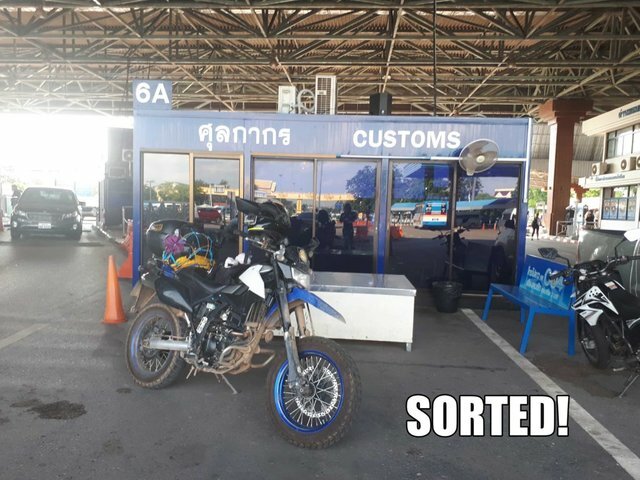 I'm looking forward to following your adventures in Thailand here on Steem platform. Wow!!! you are living a dream that must of the people have :D!!! nice :D!! Thanks a lot. still finding my feet around here and its a bit overwhelming trying to work out how it all works. Thanks for the link !